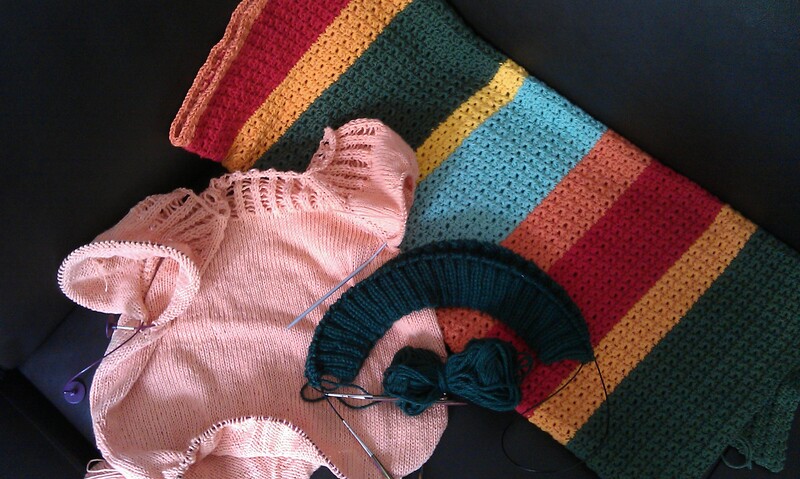 My Gemini Top is growing and if I dedicate a bit more time to it again I might finish it by the weekend. The stockinette body is growing a bit boring though at the moment, but I’ll get over it. The blanket is growing as well.I made serious progress and, in contrary to my wishes, bought more yarn. At least it is project bound because I noticed I needed a bit more yarn to achieve the length I’m aiming for. 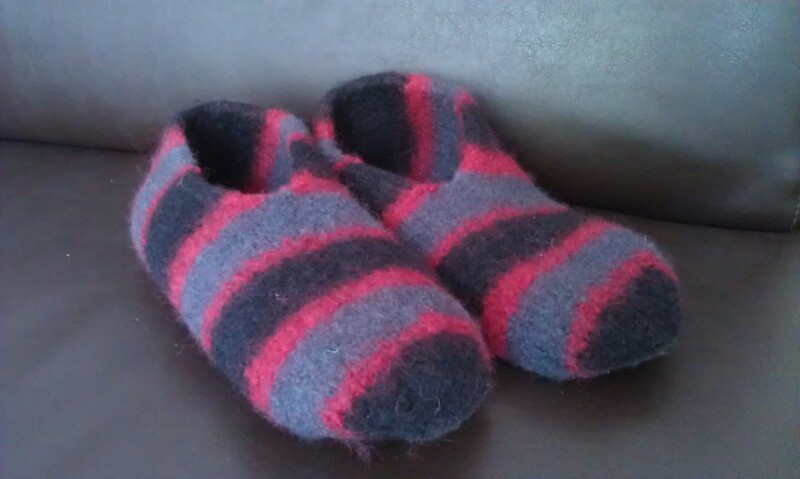 Oh and something I always forget to mention because they are such quick knits: I knitted a pair of slippers for Michael. His had a huge hole on one of the soles and you really can’t mend them (or does anyone have an idea on how to mend knit felted slippers?). I made new ones in colours of his choice and no the red does come out far too bright in the pictures. It is more a dark wine red. Plus I started my first Christmas knitting. Yes you have read that correctly. I started with Christmas knitting in April. This is a specially ordered present and I can show it to you too: My brother wants a proper Christmas sweater. Well and he picked… lets call it one of the more interesting or funny patterns, that there are… The Rudolph sweater. 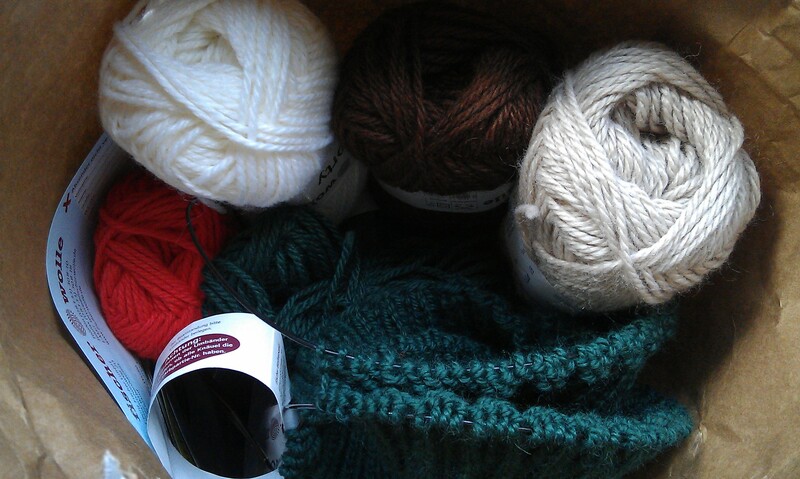 Now I got yarn and I started. I calculated that if I want to send it to him end of November so he receives it by December 3rd for his birthday and has something to enjoy all Christmas season long, I have excactly 20 weeks left. Considering the size I’m knitting I need to knit about 10 rows per week, which is about one hour work per week. 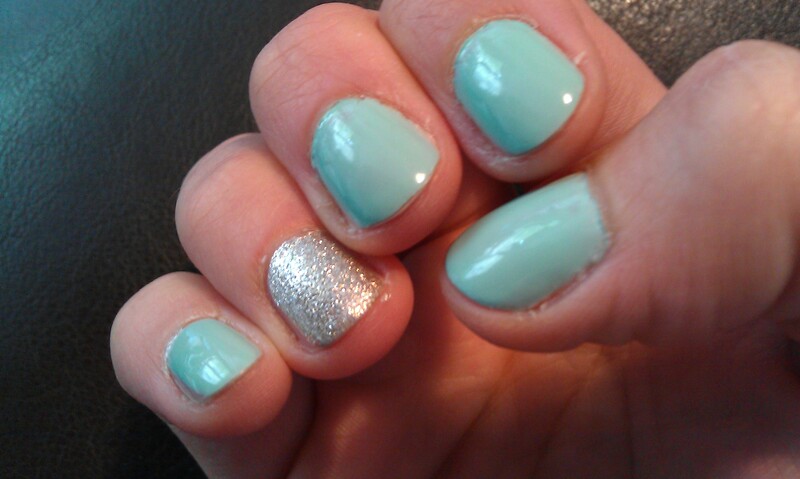 I should manage that easily and still do lots of other stuff too. Do you remember the star stitch baby blanket that got my crocheting again before Easter and the matching baby booties? I now got a picture of them “in action”. I was told they are in use a lot of times. I’m a bit proud of myself to be honest although the cuteness underneath the blanket has nothing to do with me. This entry was posted in Knitting & Crocheting and tagged beyond cozy, Blanket, Crochet, essie, Knitting, mint candy apple, Nailpolish, Slippers, Socks, Sweater, Top, Yarn Along by kathatravelling. Bookmark the permalink. 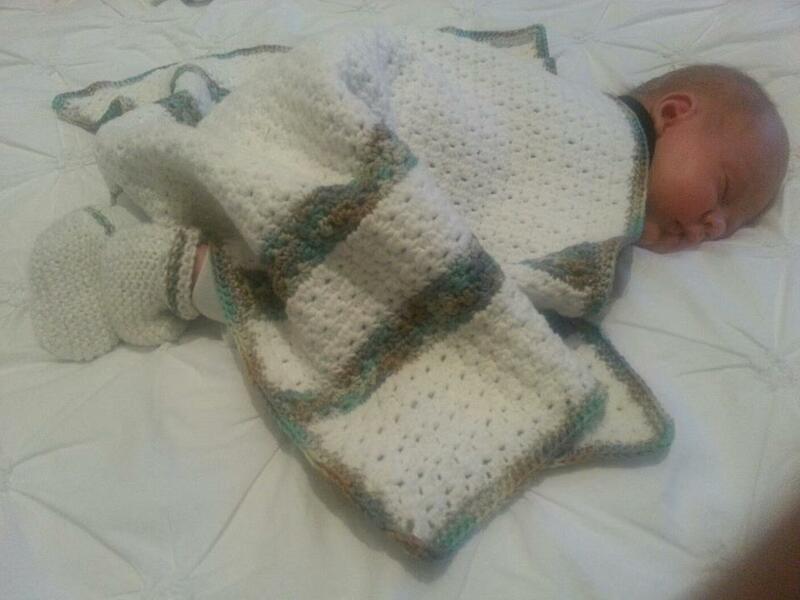 It’s so cute to see what you crocheted being used for such lovely purposes !